Musica Ficta is an early music ensemble, founded in 1988. The ensemble specializes in the performance of Latin-American and Spanish renaissance and baroque music. 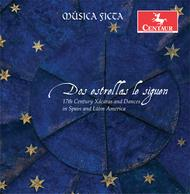 The pieces selected for this album were 17th century xacaras and dances.